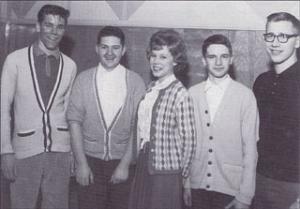 During the 1962 provincial mixed championships at Moose Jaw, a girl named Joni Anderson was a member of the Saskatoon team. She was a grade 12 student from Aden Bowman and she was teamed up with Gary Moore, also of Bowman, Zennon Kuzma of St Paul's high school, Ian Mirtle of Bedford Row, and Steve Dechka of Nutana. They bowled well and won it all. 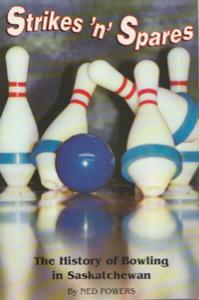 Just days later, they teamed up again and won the junior event in the Saskatoon city tournament at Rak's Bowladrome. After graduating in June, Anderson pursued a career in arts and discovered that her singing talent was appreciated well beyond the Saskatoon coffee house circuit. For three decades now, the girl, now known as Joni Mitchell, has been one of North America's premiere folk singers and recording artists. Send them an email, buy the book, and support the Federation!